The company founded in 1999, is one of the leading companies with a sound reputation in the field of stabilizers manufacturing in the Kingdom of Saudi Arabia. In 2001 it received ARAMCO’s approval to become one of its approved suppliers in the business of stabilizers. Since then the company obtained its leading position as a prime supplier for the sub-contractors within ARAMCO’s projects in the kingdom. 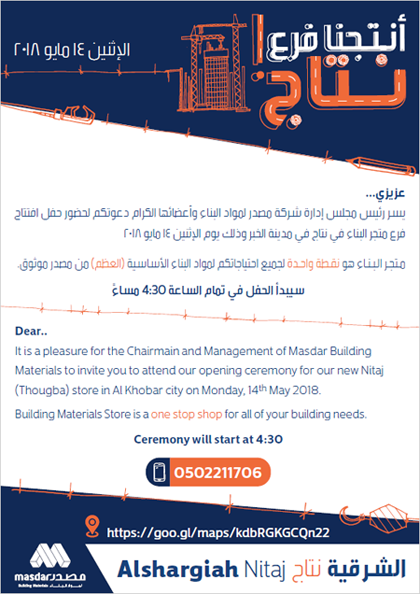 The company’s warehouses are located in the industrial area Phase II, in Dammam, the factory space is about 5000 sqm, which contained also the quality laboratory, and a warehouse of storing capacity that exceeds 2000 ton/ annum. The company was able to recently launch a new technology in the Saudi markets in the field of stabilizers manufacturing using high speed cutting and wrap thread machineries. 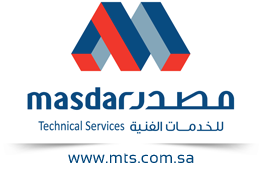 Masdar Technical Services for Industry is paying great attention to the product quality and customer satisfaction as a prime objective. It imports its raw materials from reputable and approved companies in Europe and Far East. It also worth mentioning that the company was awarded the ISO 2008:9001 certification, and it is planning to expand in the domain of stabilizers manufacturing in the kingdom of Saudi Arabia and increase its production in 2015.